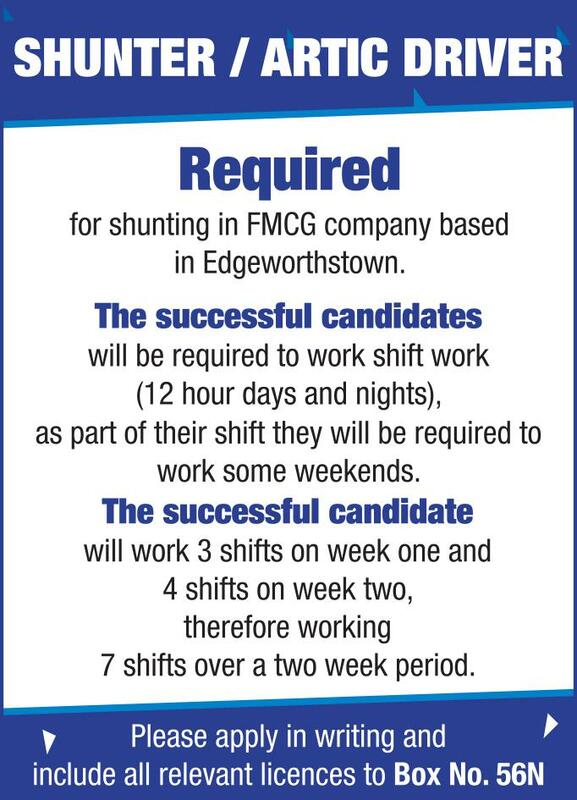 A Shunter / Artic Driver is required for shunting at a FMCG company based in Edgeworthstown. The successful candidate will be required to work shift work (12 hour days and nights), as part of their shift they will be required to work some weekends. The successful candidate will work 3 shifts on week one and 4 shifts on week two, therefore working 7 shifts over a two week period. Please apply in writing and include all relevant licences to Box No 56N, Longford Leader, Leader House, Dublin Road, Longford.